Welcome to Jake’s Moving and Storage – the most trusted household moving company in DC, Maryland, and Virginia. Our decades of cumulative experience, superior customer service, and professional staff make your move smooth, safe and efficient. Whether you move from a studio apartment, mansion, or an office, Jake’s Moving and Storage will be there for all of your moving needs. 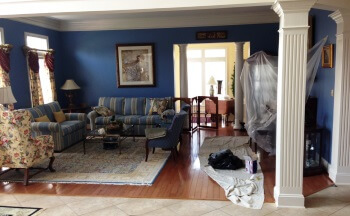 We provide free estimates based on the services that you require. Moving schedules aren’t set in stone. That’s why we work with your schedule. By being upfront with our flat rate moving fees, there are no hidden or surprise fees for you. As a family-owned business, we stay true to family values and morals. Fully certified with BBB, USDOT, AMSA, and ProMover accreditation. Based in Potomac, MD, we’re familiar with the DC, VA, and MD moving areas. Jake’s Moving and Storage are the movers in Montgomery County, MD to call for local and long-distance residential and commercial moves. We have been servicing Montgomery County and surrounding areas, such as Washington D.C., Maryland, and Virginia, for more than ten years. 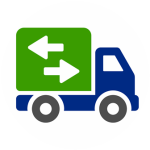 Our professional drivers have spotless driving and safety records to deliver your items undamaged to their new destination. 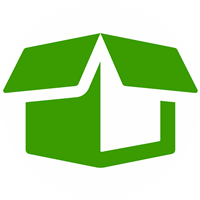 Jake’s Moving and Storage started out in Potomac, MD and for over a decade, we’ve developed an outstanding reputation for dependability, friendly customer service, and honest flat rate pricing and free estimates. Let us know what you need and we’ll provide a fair and honest quote at no charge! Call Jake’s Moving and Storage in Montgomery County, MD for a free estimate of our services. Our company offers flat rate pricing and additionally, we are licensed, bonded, and insured with more than a decade of experience. Our employees will assist you with the whole moving process (packing, loading, transporting, unpacking, and re-assembling) so all you have to do is relax at your new place. Our movers in Montgomery County, MD are available 24/7 to answer any concerns or queries you may have. And remember, call us for any moves to/from/within Maryland, Washington DC, and Virginia. What Makes Movers In Montgomery County Unique? Our residential movers in Montgomery County have the expertise in moving antiques and many types of delicate, priceless items. We will take the time to carefully pack breakables, such as dishes, glasses, works of art, and label the boxes with the names of the goods. Use our services for in-house moves also if you need to move exercise equipment, spas, pianos, or aquariums from one room/floor to another. We are experienced local movers in Montgomery County, MD and will travel to the cities of Poolesville, Oakmont, Martin’s Additions, Laytonsville, Barnesville, Brookville, Gaithersburg, Washington Grove, Glen Echo, Rockville, Friendship Heights, Chevy Chase, Kensington, Takoma Park, Drummond, Garrett Park, and Somerset. Give us a call and be moved effortlessly within Montgomery County, MD! We can help you move down the street, within the same community, to another apartment in the same building, or to the house next door. 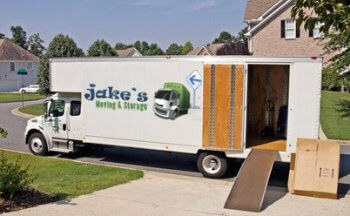 Jake’s Moving and Storage are the reliable and dependable local movers in Montgomery County, MD that you can trust. We are a licensed, bonded, and insured, full-service moving company that can cross state lines for long-distance moves. We are in the business of moving large items, so we can also help students move to their new residence at a college or a university. Our professional drivers have spotless driving and safety records to deliver your items to the designated destination without damage. 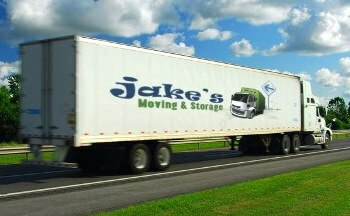 Jake’s Moving and Storage also has storage facilities in Montgomery County, MD. 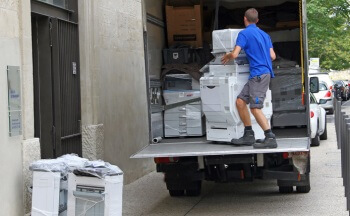 Our heavy equipment and machinery movers are reliable and careful, as well as trained to organize and pack up office furniture, desks, and assist with the office relocation process. We use state-of-the-art packing materials and your belongings will remain protected, safe, and dry. If you request our packing service, our professionally trained and skilled packers will pack your items using the correct cartons, wrapping, and packing materials. They will sort, organize, pack, and unpack the items when they arrive at the destination. A move itself is already hectic, let alone packing, unpacking, and re-assembling furniture. For this reason, Jake’s Moving and Storage offers professional and efficient furniture (dis)assembly services. 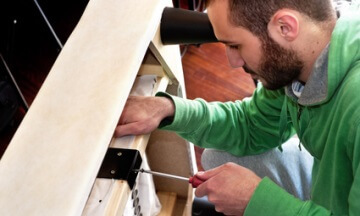 Our pros will dismantle furniture to be moved and at your new location, re-assemble it for you.